Let our experience be your asset. Learn how our GMP & Commercial Services group can work with your development teams to design and deliver individual custom, GMP-compliant critical oligonucleotide components or fully finished diagnostic kits. LGC Biosearch Technologies provides synthesis, formulation, and packaging to accelerate assay development from conception to commercialization. We can satisfy all your dye selection, oligo modification and special manufacturing demands for high quality IVD oligo components. With over 20 years of experience in oligonucleotide synthesis, chemistry manufacturing, and instrumentation, LGC Biosearch has established itself as a reliable business partner for providing oligo components for in vitro diagnostic suppliers. 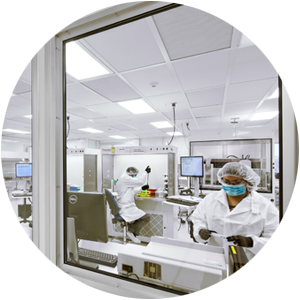 Our state-of-the-art laboratories, superior quality reagents, GMP compliant standards, and fully customizable, yet consistent production processes, make LGC Biosearch the partner of choice for diagnostic test manufacturers. Discuss product details such as sequences, purity, synthesis scales and delivered amounts, chemistry, manufacturing and QC specifications, regulatory requirements, lead time, IP, etc. Support your Quality and Regulatory staff with FDA submissions by assisting with risk assessment, validation documentation, stability studies, etc. Since our introduction of the Black Hole Quencher® (BHQ®) dyes in 2000, BHQ dyes have become the dark quencher of choice in the DNA marketplace. 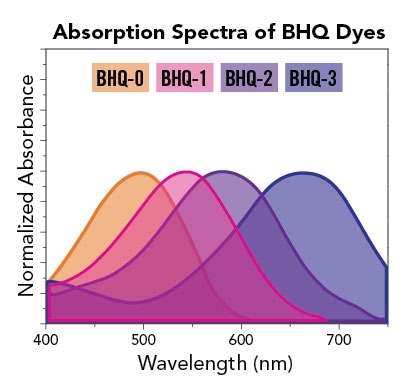 Other proprietary dyes include the CAL Fluor® and Quasar® dyes, which are vibrant, high performing fluorophores designed to perfectly complement the BHQ dyes. LGC Biosearch can also manufacture many other dyes such as FAM, TET, HEX, JOE, etc., to supply any combination of fluorescence-quenched probes. LGC Biosearch offers flexible and different levels of licensing programs that can be tailored to the terms of your project. 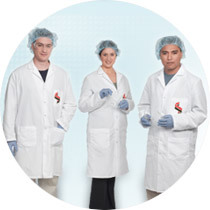 Partner with LGC Biosearch so you can consolidate your oligo supply and dye licensing needs. 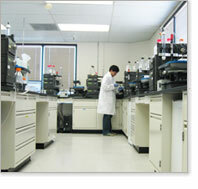 Contact licensing@biosearchtech.com with any related questions. Learn more about our proprietary dyes from LGC Biosearch. Also check out our interactive spectral overlay tool. Custom Oligos for Research - Custom-synthesized oligos offered at low prices with the quickest turnaround; ideal for assay design. 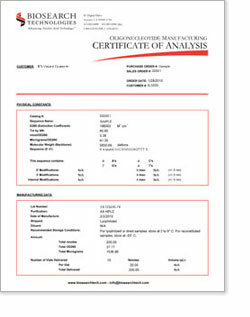 PilotDx™ Oligos - The cheaper and faster alternative to GMP-grade oligos. 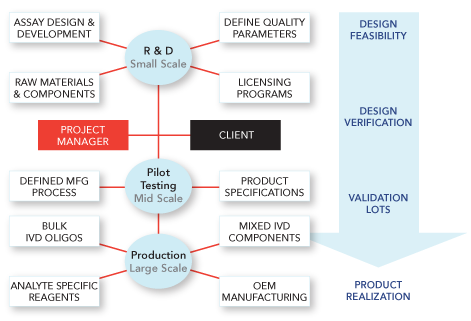 PilotDx oligos are accompanied with Certificates of Analysis released by QC and are ideal for product development, especially in the medical device arena. Visit our PilotDx Oligo webpage for more details. 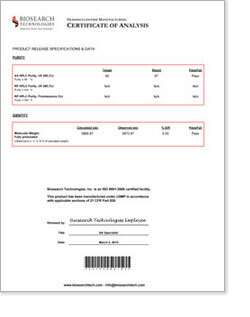 GMP Oligos - Oligo components for molecular diagnostic assays with defined batch record documentation released by QA; manufactured under controlled processes. A vertically integrated structure allows LGC Biosearch to precisely control the raw materials and manufacturing process, reducing costs and turnaround time. These advantages and LGC Biosearch’s ability to manufacture diagnostic components containing BHQ dyes make LGC Biosearch the ideal partner for medical device development. Whether you need HPLC purified oligos mixed and normalized in custom buffers, or bulk oligos, LGC Biosearch can deliver. We offer a variety of purification options and highly customizable formulation and delivery specifications tailored to your product requirements. The LGC Biosearch Quality Management System (QMS) within IVD oligo production is designed for compliance to ISO 13485:2016 and the requirements of 21 CFR Part 820 (as applicable). 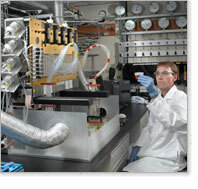 Our QMS documentation results in reproducible components that consistently meet the needs of our clients. Our production batch records provide full process traceability and undergo systematic scrutiny during Quality Assurance review and release. For questions about the services we offer for molecular diagnostics, please e-mail info@biosearchtech.com or call us: 1.800.GENOME.1 (436.6631).